Collusion theories abound in advance of this Thursday's US-Germany World Cup match. A tie in that match would send both the US and Germany to the Round of Sixteen, and eliminate their other two Group G competitors, Ghana and Portugal. US coach Jurgen Klinsmann has already gone on record that he will not pre-arrange a tie with his former team. But it's not as if he'd admit to it if it were true. And even if there were no formal collusion, both teams have an incentive to adopt a low-risk style of play that could increase the likelihood of a draw. Nobody can say for sure how each team will play this Thursday, and there are plenty of examples across all sports of teams "going for the win" even when the outcome is immaterial or even counter-productive to the team's long term objectives. The pundits and fans can speculate, but the bookies have to pick a number and back it with money. Is there evidence from the sports books that the market expects an abnormally high draw probability? How much commission, or "vig", is baked into the odds. But this should be fairly constant across matches. The higher the factor, the higher the likelihood of a draw (relative to the outright win odds). So, if the betting market anticipates a bias on the part of US and Germany to play to a draw, then we should see a much higher factor than the standard 2.9 when multiplying the win odds for the two teams. That factor of 6.5 is far in excess of any other World Cup match. 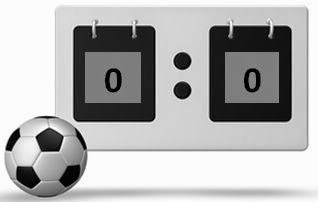 The average factor for all World Cup matches so far is 3.0 with a standard deviation of 0.5. The next highest factor was 3.7. The implied draw probability from the betting odds is about 35%, which is abnormally high for what is otherwise a clear mismatch in Germany's favor. The fact that the product of the team's odds to win stays roughly in the 2.5 to 3.5 range is consistent with the assumption that soccer goals follow a poisson process in which the mean number of goals per team per match varies from 0.5 to 2.5 (I couldn't find a closed form solution, but sample calculations by hand verify this). And despite our tendency to build narratives around "equalizers" and "dangerous" 2-0 leads, the research indicates that the poisson assumption is consistent with actual game results.